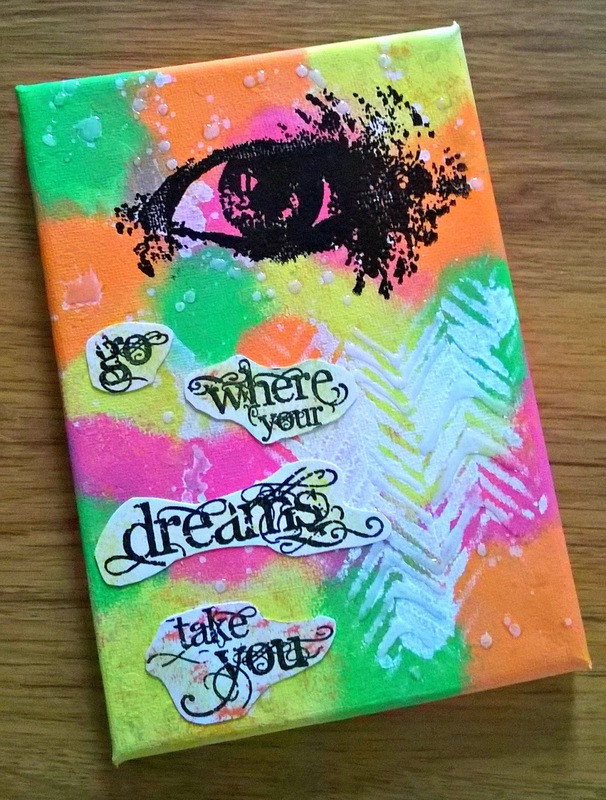 Today I am sharing a 5x7" canvas that I created recently. I used acrylic paint applied with a sponge, I also applied some white paint through a stencil and splatted some using a toothbrush. When dry I added some glossy accents to add dimension and reflect the light. Next I stamped the Inkognito eye from Visible Image and embossed it in black. I stamped the sentiment on white card and then tore it into a few pieces so that I could add it to the canvas and fill some of the blank space. I really am happy with how this project turned out and I will continue to be bold with colour and follow my dreams.